At the King’s Cottage Bed & Breakfast you can be pampered at a luxurious “Top 10 Most Romantic Inn”, as designated by American Historic Inns. This gracious mansion is on the National Register. They have a private massage room, and a therapist on site. Guest will enjoy their gourmet breakfasts and afternoon refreshments. Fireplaces, whirlpools & elegant Carriage House for 2! The inn is close to many local Amish attractions, the Central Market, Sight & Sound Theatre, Fulton Theatre, and American Music Theatre. The Kings Cottage Bed & Breakfast is one of several places to stay in Lancaster. 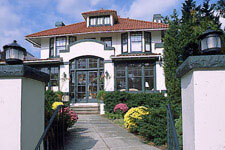 There are also many other bed and breakfast inns and farm bed and breakfasts throughout Lancaster County, PA.